FIFA officials, the spirit of teamwork, easy to understand, some people like it, some pretend! 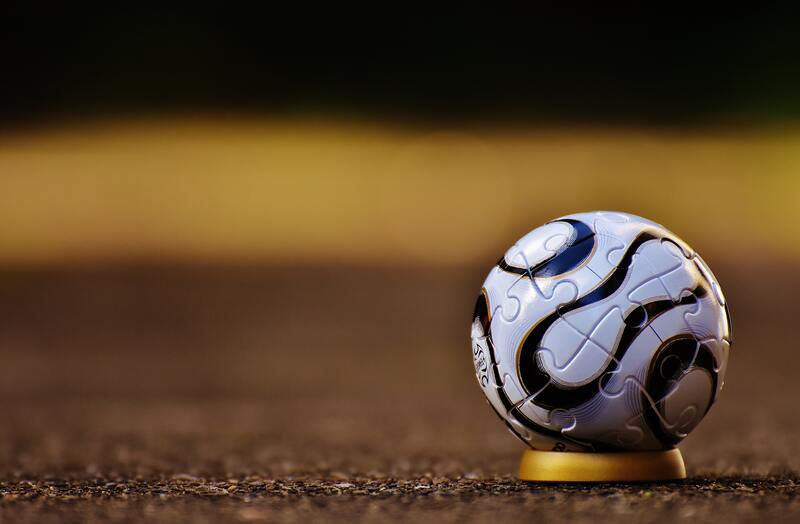 The world witnessed yet another FIFA World Cup this year, and millions of people watched around the globe the most popular sport in the world. No other game even comes close to matching the appeal of football. But why do so many people like to play it and watch it? It is unlikely that this is arbitrary, and there has to be some specific set of characteristics that makes football so appealing. Here is a report that shows how successful was the FIFA World Cup this year. According to new data released by FIFA officials, the latest world cup tournament that took place in Russia in 2018 broke all records when it comes to engagement. This, of course, can be predicted as the age we live on is far more connected. Online interested from fans catapulted the engagement rate to new heights with over 7.5 billion interactions across the many FIFA digital platforms during the tournament. FIFA made significant improvements in 2018. 4. Generating over 580 million interactions and reaching an astonishing number of followers, 128 million to be precise. They also introduced new “customer service” function that increases the response time and engaged users even more. The mind-blowing images and videos (that generate more than 1 billion views and contributed to 4 million new subscribers to FIFA`s own YouTube channel) coming from the eleven Russian cities hosting the tournament were the huge contributor to the aforementioned growth and deep engagement. The official app for the tournament (coming from FIFA) is the number one sports app in over 128 countries, while FIFA.com is ranking as the number one football website in the world. FIFA’s 32 team reporters were delivering content in 16 different languages. Send over multiple social platforms and TV channels fans had the opportunity to follow their favorite teams like never before. FIFA’s interactive games also generated colossal engagement. Over 25 million people downloaded and participated in mobile applications: McDonald’s FIFA World Cup Fantasy, Hyundai’s FIFA World Cup Match Predictor to name a few. Of course, Coca-Cola Digital Sticker Album was a big hit as well. FIFA itself create a VKontakte account that got over 1 million followers in a month (while the tournament was ongoing). Weibo and WeChat, on the other hand, exploded in China. Here are some reasons why football is prevalent among so many people, especially the youth. 1. Some people like it, some pretend! If you see people who play video games, never watch or play real football and then act as if they know everything about football, then you will find this kind of people in all walks of life. Many people become football fans just because of their friends or to look cool in front of everyone, there could be so many other reasons too, but for some people, their love affair with football starts well before their college or sometimes even in their school days. You will find so many people talking a lot about football creating a massive buzz about it, but they hardly know anything about the basics of football, but some people genuinely love football, they know well exactly what it is, they never pretend! 2. The spirit of teamwork If we take a look back in history, we`ll see a pattern. Men have joined forces in groups to hunt or fight a common thread. To this day we still feel the need to be part of something bigger, to achieve our goals together. Since hunting is now not needed four our survival and fighting is not a daily routine (excuse me Mr.Khabib and Mr. Mcgregor), we make do with team sports instead where football fits in perfectly. In football (or as Americans call it soccer) players are dependent on each other and teamwork is crucial, and perhaps that appeals more to our evolutionary leftovers. 3. Easy to understand, no hard investments in types of equipment Football is also a straightforward sport to participate in and keep track of. Even though if you are listening to punters talking about false nines, dual lines of defense, and so on and on can seem complicated and confusing at the end of the day football (soccer) is just a couple of teams trying to put a ball in the net. The goal is clear, you can hit the ball with your feet, body, and head, entirely no hand and you can score from any place on the field. Even if you have never seen a game a couple of minutes watching will give you a general idea of what it is all about. Not counting the ball and the goals you don’t need anything specific to play. That is unless you want to become a pro and play with special shoes and protectors. You can play anytime, anywhere, even in your living room (and of course risk breaking your family`s favorite cups ) or in the field, it is all up to you. You can play with your best friend one on one, or you can get two full teams of eleven players each. 4. There are a lot of attracting things when it comes to football Apart from loving the game and dreaming to become a football legend youngster and oldies alike imagine they can earn big bucks through this game. The best way to make a living through football is by predicting the outcome of games and betting on them. Tipsters can play a massive part in this. Whalebets is a prime example of quality tipsters that can bring a considerable a very crucial role in this prediction and betting thing. Isn’t that good if you can earn a large amount of money while watching the game in the comfort of your sofa in your room? Conclusion Football is the most popular game in the world, and there are a lot of reasons for its popularity. The points above clearly depicts why so many youngsters love this game and looking at the report by FIFA official; we can say that the popularity of this game is going to reach new heights in the coming years.